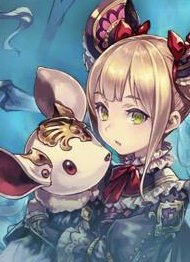 Shadowverse is a fantasy CCG created and published by Cygames. With some striking similarities to Blizzard’s Hearthstone, Shadowverse features it own set of unique mechanics along with an anime inspired visuals to set itself apart from other CCGs on the market. Players can dominate the card battlefield with the use of followers, spells and other different card types. Each follower can be evolved in battle while earning epic stats and revealing unique artwork, so players should strategize and supercharge their followers for devastating attacks. Along with seven playable characters, each with fully-voiced original stories and over 400 cards to collect, Shadowverse presents itself as a fresh take on the CCG genre. "How much time could it possibly take," I reasoned, "It'll just be some simple Hearthstone clone with a shiny coat of paint." On its Facebook page, the Shadowverse team has announced its plans for a soft-launch. Description: With some striking similarities to Blizzard's Hearthstone, Shadowverse features it own set of unique mechanics along with an anime inspired visuals to set itself apart from other CCGs on the market.